One of my greatest passions since I was a child has been travelling and discovering new cities around the world; their culture, food and lifestyle. This time was the turn of Krakow, a city in the south of Poland near the border of the Czech Republic that captured my heart from the moment I arrived. 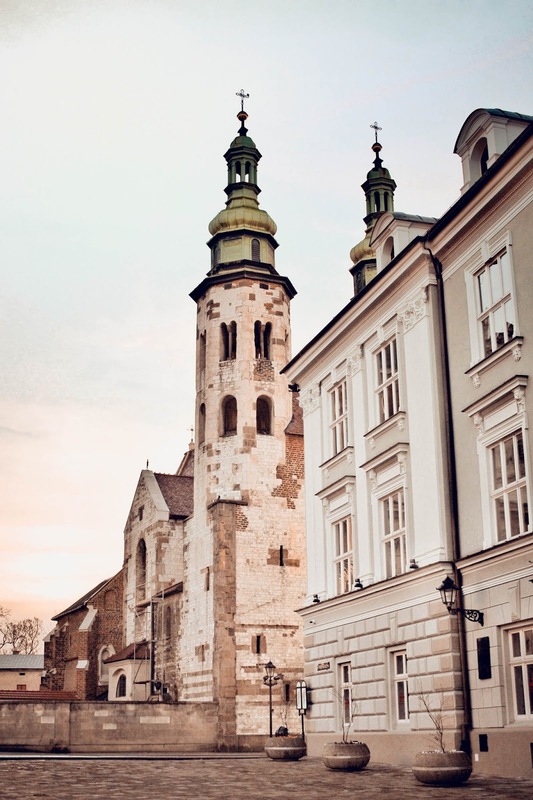 Krakow is known for its well-preserved medieval core and Jewish quarter. Last weekend, the amazing family from The Blogger Program took all of us to a new exciting adventure in Krakow. The objective? To have a lot of fun, get to know each other better and bond as a team. We took an early flight from Luton Airport with Wizz Airlines, a very budget friendly airline with excellent service. The flight was very smooth and the seats were quite comfortable, I was actually able to take a nap to recharge my batteries before landing in Krakow. Wizz Airlines have fares starting from £22.99 (One way, including all taxes, non-optional charges and one cabin bag), BARGAIN!! As an avid traveller, one of the things I value the most when visiting a new city is the accommodation. In case you haven’t noticed, I’m a picky traveller, I like staying at the best hotels, with the best food and the best service. This case wasn't the exception. We checked-in at the Sheraton Grand Hotel and we didn't even have to wait, they were waiting for us with the keys for all the rooms ready by the time we arrived. 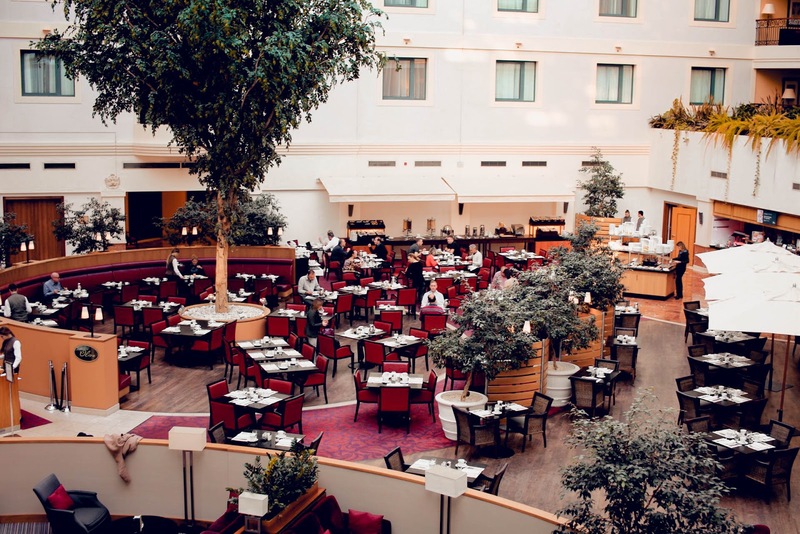 The facilities are impressive, as soon as you walk in you see this huge open space with common areas like a bar, the restaurant where they serve the most amazing breakfast buffet ever and some chill out areas. The Hotel has 232 fully renovated guest rooms, designed by Alex Kravetz and amazing views to The Royal Wawel Castle and The Wisła River, and only a 10 min walk to the Main Square and vibrant Kazimierz District. One of the things I enjoyed the most about the hotel was the Sheraton Club facilities, a private area where you can relax having a cup of tea (or wine) with a wide variety of complimentary snacks. But my ultimate favorite was the bed, OMG!, it was the most comfortable bed ever! If it wasn't because I wanted to see the city I could have stayed in bed all weekend, and if you are like me, the bed is the one thing that can make me go back or not to a hotel. To finish with a flourish, during the first night the hotel prepared a feast for us, the amount and diversity of food was incredible. A variety of entrees with warm and cold dishes, with traditional Polish food and champagne with the best company. Dinner was more than we could ever have asked for, exquisite fish and meat, delicious salads and side dishes; and just when we thought it couldn't get any better, the dessert arrived. A fabulous table with different sweets and the most delicious chocolate cake ever. Couldn't be more grateful to Sheraton Grand Hotel for their attentions with all of us the and exquisite service throughout this whole trip. I'm now looking forward to visiting more of their hotels around the world. There's so much you can do in Krakow; seeing the Wawel Cathedral, the St Mary's Basilica, visiting the Wawel Royal Castle, getting lost in the streets of the city center, eat chocolate (lots of chocolate), drink flavoured vodka, see the night markets and treat yourself with some local souvenirs, take a horse carriage ride (especially beautiful at night), and so much more. During our second night we went on Segway tour around the city with Tell Me Travels and it was so much fun! By the time it finished I just wanted more and more. A huge thanks to our guide for being so patient, it was the first time on a Segway for most of us and he took the time to train each and every single one of us separately. I literally felt like a pro after a few minutes! Earlier during the day, we went to visit Auschwitz, also with Tell Me Travels, and it's probably one of the most powerful experiences I've had in my entire life. I don't think I'll be able to put in words what that visit meant to me and all the mixed emotions that I felt while being there, but it's a truly haunting experience, well worth the visit. This time of the year is quite cold in Krakow, but not as cold as it gets during winter, so you can still look nice while touring the city. Throughout the whole trip I was wearing very cozy coats and knitwear from Primark (their new collection is awesome) paired with high knee boots and my favorite hats this season (berets and the baker boy hat). Especial thanks to The Blogger Program for organizing this unforgettable trip and for treating us so well, and also to all the brands who were part of it. One of the greatest things of being a blogger is being able to work with brands you love and the day we arrived our beds were full of goodies from MyWalit (totally obsessed with my new handbag), Xlash, Urban Decay, Figleaves (the most soft and comfy PJ's ever) and Maria Nila. After such an amazing experience there's only one question left, where to next? Sounds like an amazing, life changing trip! So jealous! I've never been to Krakow - but I had family there who escaped the Holocaust. Some were not so lucky thou. Auschwitz is on my bucket list. I just joined to Blogger Program - thanks for the tip! And love your fall style! You look so cozy and chic! This is incredible! I've never ben to Krakow. Such a beautiful city to explore and relax. The fall foliage is just breathtaking and your looks compliment the beautiful scenery so well. The Sheraton looks like a luxurious place to stay. I'm such a fan of a lounge and especially since I have children, they always adore when they're allowed to go up and relax. I bet the views to The Royal Wawel Castle and The Wisła River are just phenomenal! I'd love to visit and stay there! The autumnal Krakow must be magical! The streets and all the houses are filled with it! And I believe there are a lot of places to visit. Segway tour sounds lovely! I bet you had an amazing weekend! 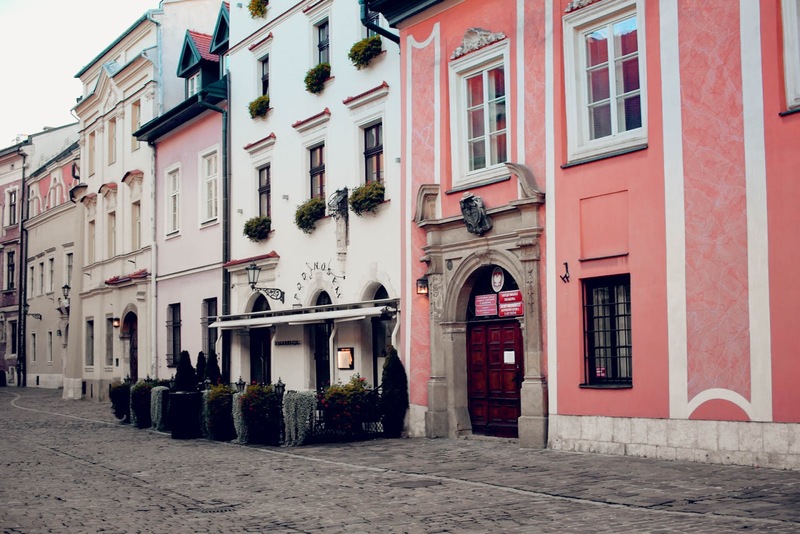 I've never been to Poland, but I was always fascinated by Krakow somehow. Maybe one day I'll visit it. What a cool travel experience! I wish, they invited me too ;) I only been in Warsaw, Krakow is on my list. You look so amazing and this coat fits you perfectly. Can't wait for my next travel adventure to Eastern Europe. This seems like such a cool place to vacation! I've never been to Poland before, but based on this, it looks incredible! I absolutely love all of the fall colors you included in each of the photos, and your outfits are so cute! I'll definitely need to add this to my travel list. As a Polish girl myself it's wonderful to see Poland featured on your blog. I'm sure you ate a lot of amazing food Eastern European food is the best and drank a lot of vodka ha ha. Krakow looks so amazing!!! I've always wanted to visit Poland. Love that gingham long coat, such a beautiful piece to have with the beautiful autumn backdrop and the falling leaves. I'm dying to have a real autumn or winter somewhere, it's just so hot on my side and I never get to have a real winter :( I guess I could live my dreams through your photos. OMG! Your trip looks so amazing! Krakow is so beautiful! It definitely looks like Fall there! The Blogger Program really did take you all on a new exciting adventure! Your second night sounds so cool! I would love to tour the city on a Segway! P.s I am loving your looks on this trip! Your printed coat is gorgeous! How are you? I love this. Krakow seems like such a beautiful place. I havent gotten the chance to go there yet but I'd definitely want to go. These photos are all so breathtaking. Perfect for the season! Not gonna lie I think I'm the opposite, whenever I travel I don't really focus on where I'm staying because for me the hotel room is the place where I spend the least of my time because I like to get to know the place where I am. Thanks for sharing! Krakow looks like an absolutely charming and stunning city, particularly in the autumn! I was just obsessing over all of the coral shades in your post. I would definitely love to visit one day. I absolutely love the pajamas you are wearing from Figleaves, they look like just the thing I've been looking for! What an amazing trip. Krakow looks awesome! Loving all your outfits. Especially that beige jacket that looks ultra soft. Also loving those pajamas. They look silky smooth. Thanks for sharing girl!